I found Happy Soul Project quite by accident....I started reading her Letters to Noal. Tara and I have many mutual friends (connected by husband Craig) so curious one day, I clicked....and have been a follower ever since about sweet Pip. Down syndrome isn't something I knew much about, and for me it was the same with Autism. Something I had heard of but really didn't understand. I'm so pleased to see how much Happy Soul Project has grown throughout the last year and how informed people are becoming. 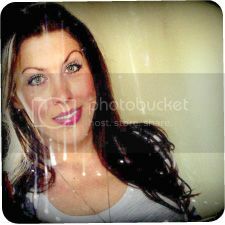 Keep the momentum going Tara! My son Timothy will be 6 years old this month. He was diagnosed with non verbal autism three years ago. What does this mean for him? Autism has severely impacted his development and his functioning is that of a 18 month-2 year old. He is diapered 24 hours a day and is dependent on me for all aspects of feeding/toileting. However, Timothy is a ray of light in our lives. Couldn't imagine life any different. He has his own language, frequently hums and sings and laughs and LOVES in his own way. He doesn’t know. He will be SIX years old this year and has never known what his birthday is or the meaning behind it. Never tasted a birthday cake. Never had, or been to a birthday party with “friends”. With every coming year, I vow, this one will be different, he will “get it”. Timothy will be SIX on April 15, 2014. I want this one to be different. So this year I wanted to make his birthday special. To teach him what a birthday is and to help him understand how much he is truly loved. I'm hoping to get birthday cards sent to him this year and we will open them with him. He is a very visual child and is trying to read. 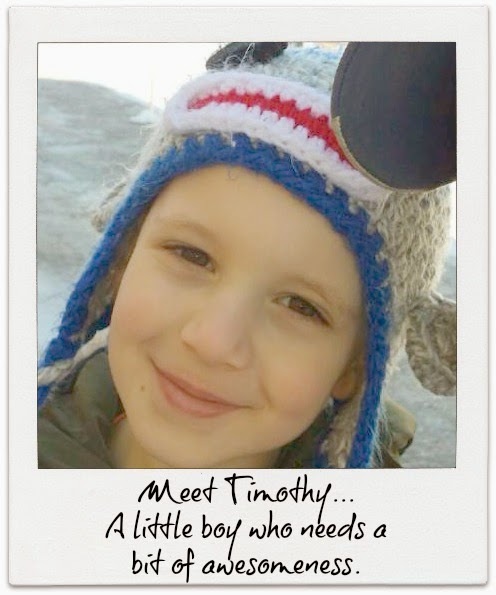 Please help us make Timothy's birthday one he will remember!! !